The Olsen twins are 21st-century American royalty – first appearing on television as infants, they were style icons to a generation of young women in the noughties and had an estimated net worth of more than £300m last year. Now in their early 30s, Mary-Kate and Ashley are increasingly more known as fashion designers than celebrities. 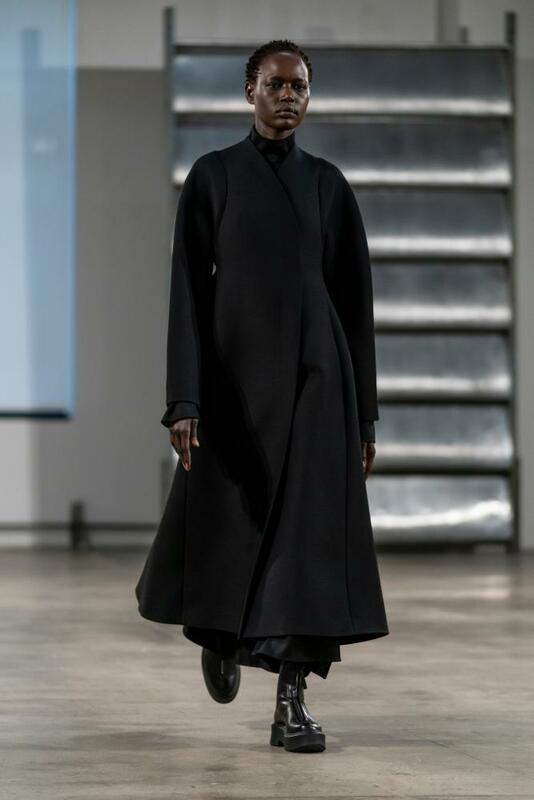 Their brand The Row, founded in 2006, was on the catwalk for New York fashion week on Monday morning with a new collection that should solidify that reputation. Like most things to do with the cult brand, the presentation here was quiet and tasteful. Guests sat on blocks of wood, and drank coffee from artisanal pottery. The Row is highly thought of in fashion circles with some high-profile editors willing to stand to watch the show. Anyone still dismissing The Row as a celebrity vanity project needs to update their thinking. 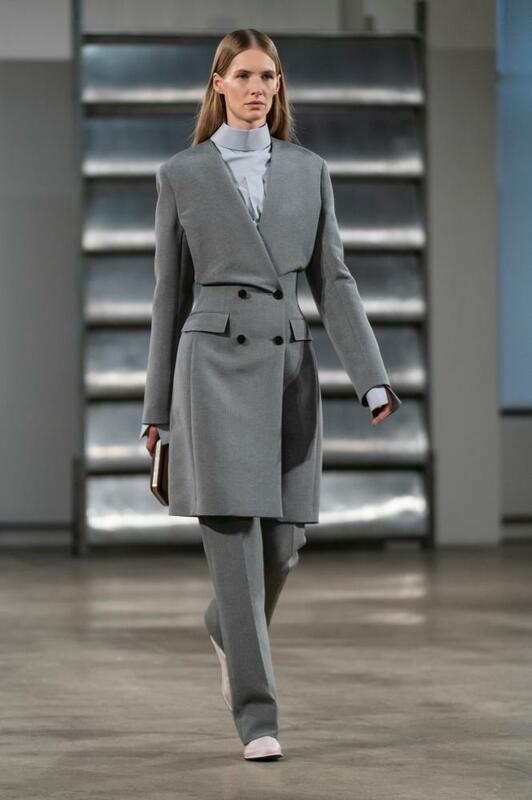 The show began with tailoring: perfectly cut trouser suits in oatmeal, charcoal grey, and black, worn with high-necked white shirting underneath. These considered neutrals continued throughout, with navy and bitter chocolate also making an appearance. There were layers that formed a chic solution to the -2c (28.4F) weather of New York in February, and outerwear ranging from longline great coats to ivory shearling and sequinned calf-length designs. The female designers at the helm might be millionaires but the collection felt sympathetic to the needs of women’s lives and what elegance looks like in 2019. Models wore flats, and there was little skin on show. A strapless, sculptural floor-length moss-green gown was the only exception. 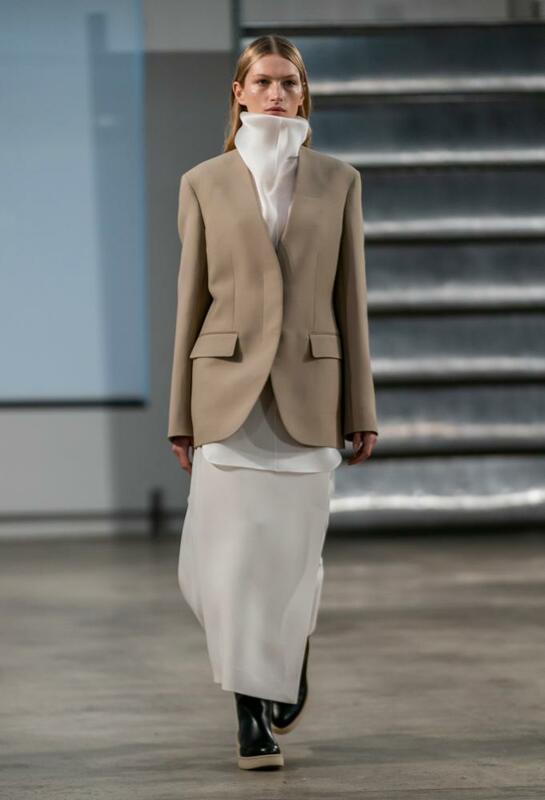 With Phoebe Philo, the leader of female-friendly minimalism for the last decade, leaving the French brand Celine last year, The Row has the aesthetic, price tags and fabrics to become high fashion’s next go-to brand for highly paid women who want clothes that are discreet, elegant, wearable and luxurious. It could be said that the Olsens are rightful heirs to this position. They have been honing this look for more than a decade. Tailoring, sculptural shapes and a tasteful colour palette – all of which are part of the Philo playbook – are trademarks of The Row, too. They also share a mystique that is likely to intrigue fans. Like Philo, the twins are notoriously private, their reticence possibly due to years in the spotlight. They rarely give interviews and they don’t use social media. The Row’s Instagram account gives little away. It doesn’t feature any clothes. Instead, there is artwork by Matisse, a Le Corbusier staircase and a photograph of dancer Martha Graham. Established 13 years ago, The Row was named in homage to the perfection of London’s Savile Row tailoring and came with a mission to create the perfect white T-shirt. The label has developed to become a favourite of fashion insiders and gain industry plaudits. The sisters have won the CFDA award for womenswear designer of the year twice, in 2012 and 2015, and have stores in New York and Los Angeles. While they would no doubt appreciate more fans from the Philo fallout, this is a brand that plays the long game. Menswear was launched late last year, only after testing items in their stores for two years. “It was imperative that we received our customers’ feedback and to approach this collection thoughtfully at our pace,” said Ashley Olsen in a statement to Vogue.